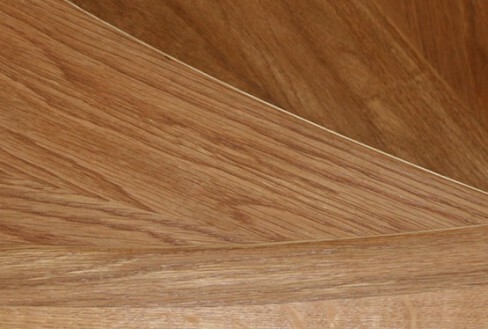 Our graceful spiral, straight, helical and combination staircases in top quality, Grade A, hardwood timbers are hand built by our skilled cabinet makers in the British Spirals & Castings workshops here in the UK. They will create a stunning staircase to any design. 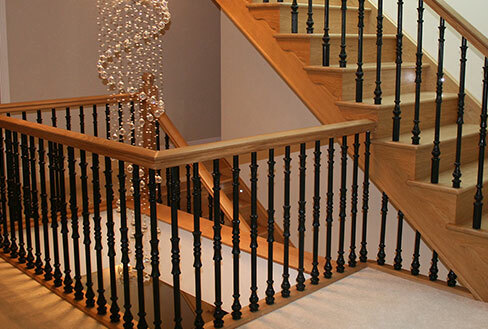 Sometimes, if a spiral staircase is not the answer yet you still desire something special, rather than a standard set of stairs, the answer may well be a combination staircase or a straight staircase with a bullnose bottom tread to give it that extra ‘wow’ factor. 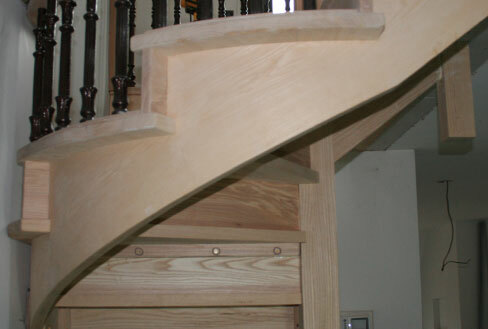 Combination stairs are an effective mixture of the best of straight and spiral. 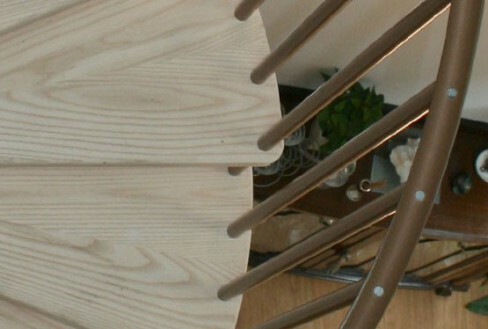 The British Spirals & Castings design and manufacturing teams create splendid solid timber staircases, and the finished appearance can be astounding, complementing any space, domestic or commercial. 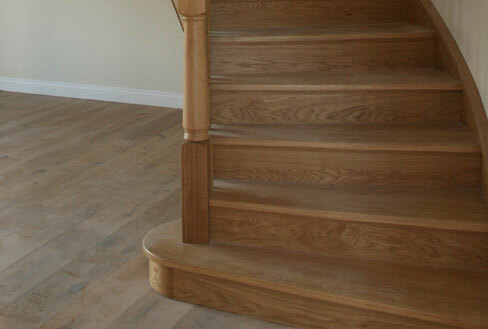 Beautiful wooden stairs with winders at the bottom look terrific and are a popular solution for renovations and refits. 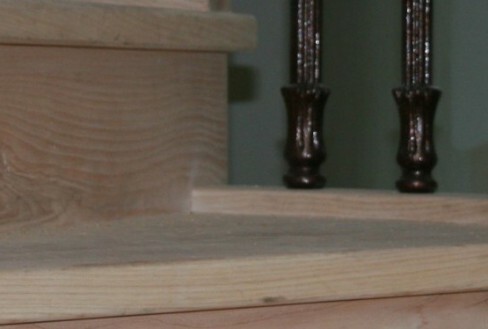 We always make sure that these stairs are as attractive on the underside as on the top face in case you do not intend to have a plastered finish. This attention to detail is what sets us apart. 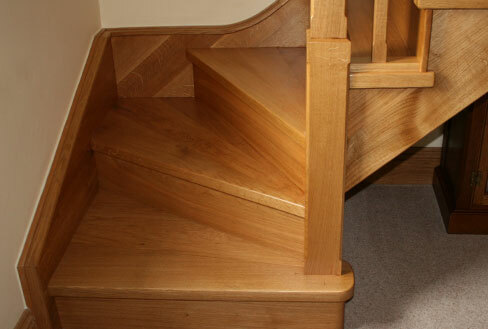 Our wooden helical staircases are the very top of the range: a fabulous addition to any property. These beautiful stairs create a sweeping look, giving the illusion of circular movement. Each staircase is individual, exclusive to you. It is your design, customised by you, then hand made by our talented craftsmen. There are no limits to the design; there is no standard build. Because we can control staircase projects in their entirety, from initial ideas to delivery, we are just as used to thinking outside of the box, as working on a straightforward specification.